Muji announced the roll out of Japanese designer Naoto Fukasawa's minimal kitchen appliances internationally last week. Here's a look at some of the other products he has created for the design brand, including his iconic CD player (pictured), a suitcase, and even ballet shoes (+ slideshow). Japanese design brand Muji – known for its minimal home products offered at a relatively low cost – has been working with Fukasawa for over 16 years. 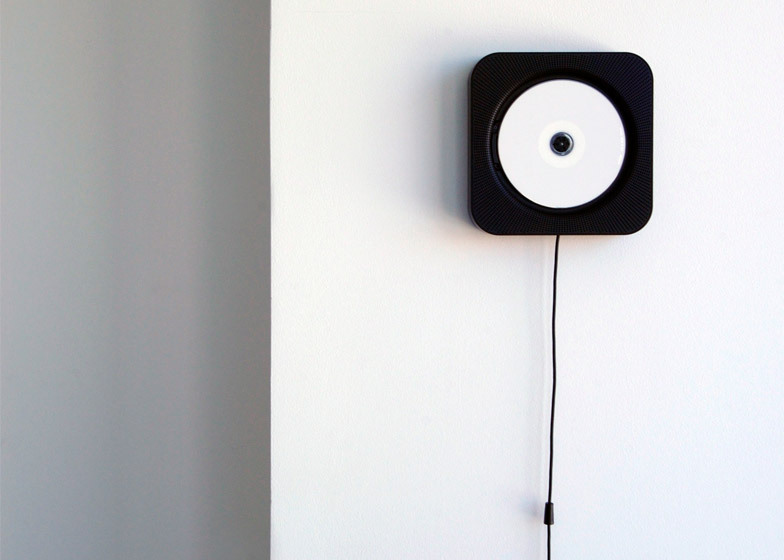 The first and perhaps the best-known product that has resulted from the collaboration is the Wall Mounted CD Player, which displays discs within a curved-edge box and is played by pulling a cord hanging below. Initially designed and released in 1999, the CD player has now been updated to include FM radio, remote control functionality and a backlit LCD display. Muji is launching a minimal toaster and kettle by Fukasawa – previously only available in Japan – in the UK, USA and Europe over the next year. 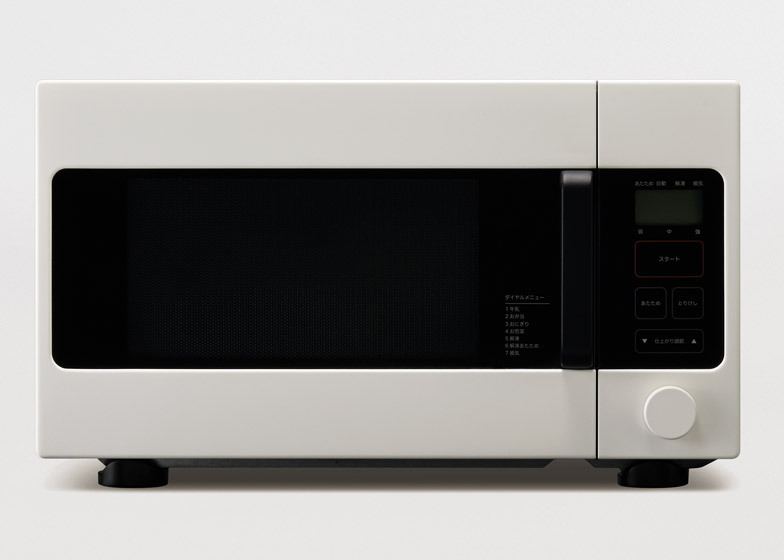 To join his set of kitchen appliances, the designer has also created a microwave that was released in Japan last year and is coming to the US in 2015. It features a black window and operating unit, set within a white body that forms horizontal bands on either side of the panel. The menu and time are set using a dial that protrudes from the bottom right corner, beneath the display of options. 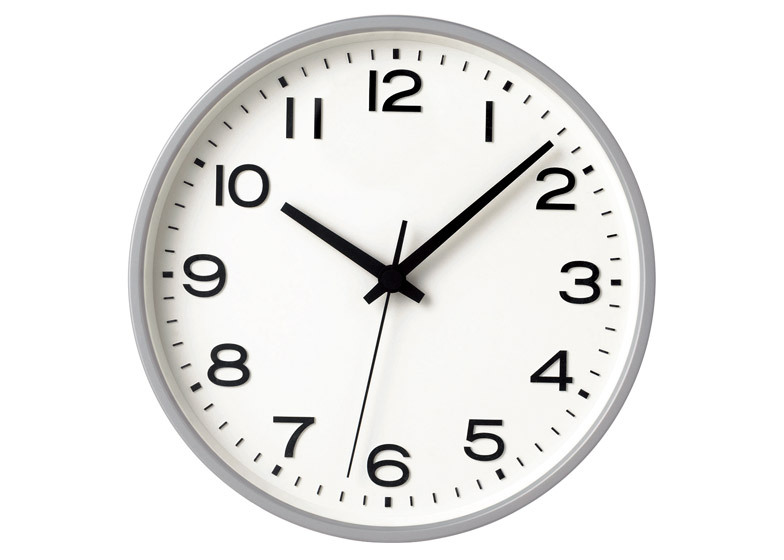 Also launching this year is a collection of analogue walls clocks. An adapted font has been used for the embossed numbers around the circular face, surrounded by either a black or grey ring. 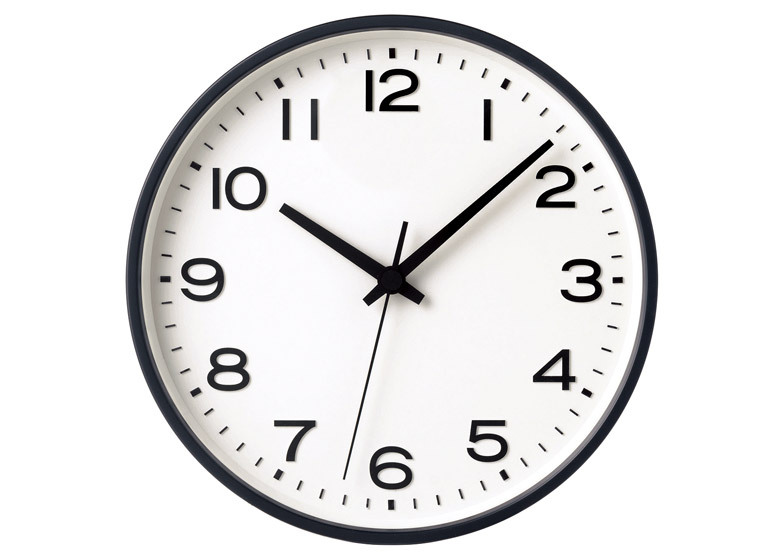 "Modifying the numerical font used by commercial clocks and adding convex process, this wall clock has a high level of visibility," said Fukasawa. 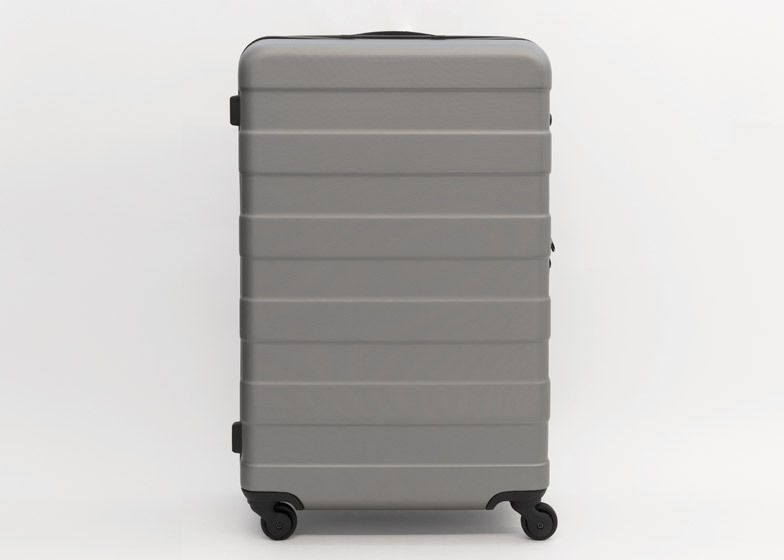 The designer's older Muji products include the Valise Hard Carry Travel Suitcase. Designed in 2011, the luggage is made from ultra-light polycarbonate plastic for high resistance to impact and shock while travelling. The case is mounted on four small black wheels and features raised bands around its body. 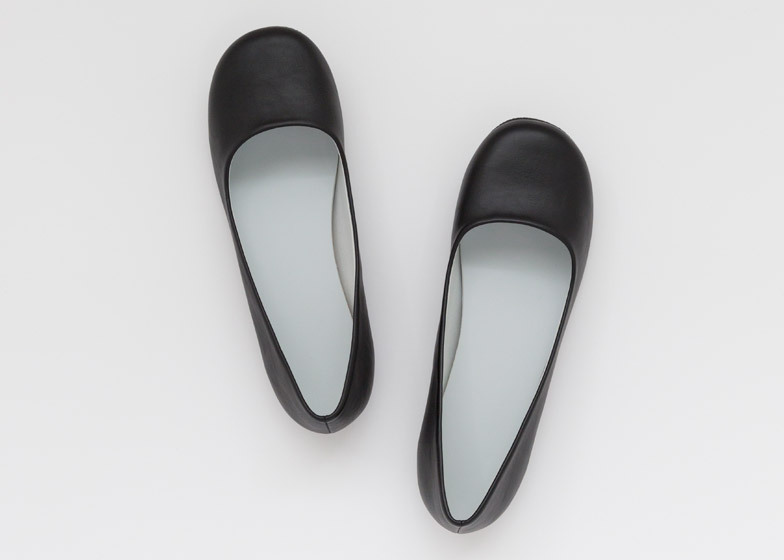 Finally, Fukasawa has created pairs of ballet pumps with thick cushioned insoles for the brand. 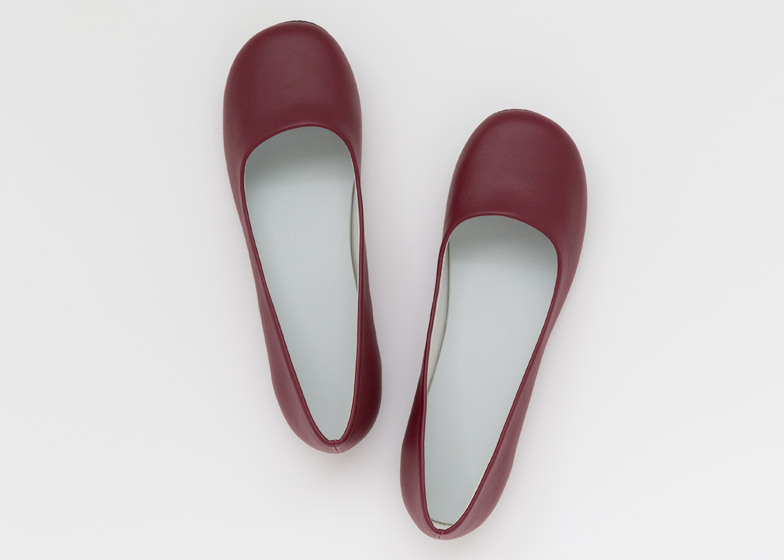 The women's shoes launched in Japan last year in a variety of colours.